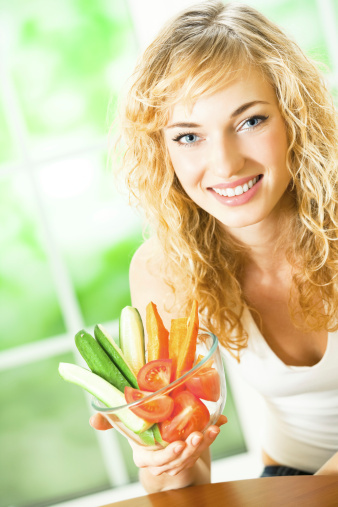 Okra, like many other plants, releases chemicals that benefit some plants that are growing nearby. Likewise, some nearby plants benefit okra. Keeping companion plants in mind when you put in a garden can help you improve plant health, prevent fungal attacks and minimize damage caused by harmful insects while attracting beneficial ones. Grow okra with companion plants like peppers, eggplants and melons. 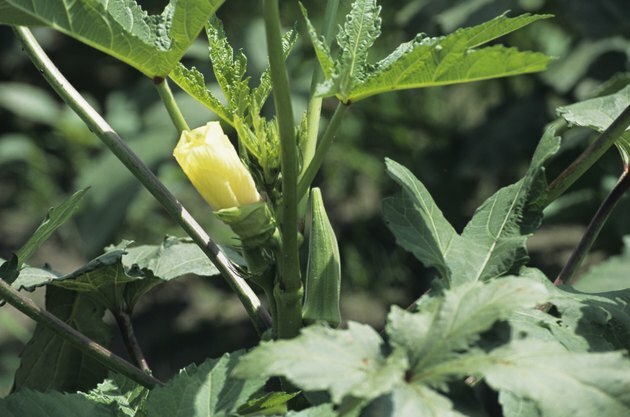 Okra belongs to the same family as hibiscus and blooms large, showy yellow flowers that attract beneficial pollinating insects like bees and butterflies. This makes okra a good companion for cucumbers, which require pollination to fruit. Cucumbers release nutrients into the soil that increase okra plants' vigor, and okra deters pesky cucumber beetles. These companion plants prefer warm soil that has a pH above 6.0 and a temperature above 60 degrees. Growing various types of peppers near okra helps to deter many of the harmful pests that are attracted to okra. Aphid and whitefly infestations are common on okra plants, but they stay away when pepper plants are nearby. This also helps to keep sooty mold off okra plants, which breeds on the sticky honeydew substance excreted by sap-sucking insects like aphids and whiteflies. Sooty mold is black mold that covers the leaves, stems and shoots of okra, blocking photosynthesis. 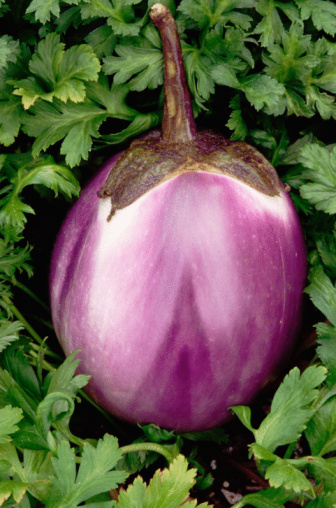 Eggplant is a nightshade vegetable, like peppers, that is also beneficial when planted near okra. Eggplant and okra benefit from nutrients that each plant releases into the soil, causing each one to grow stronger and healthier. Okra returns nitrogen to the soil for nitrogen-loving eggplant, and eggplant releases potassium for okra. They also keep away harmful sap-sucking insects that often plague okra plants. Both okra and eggplant grow best in warm, regularly watered soil. Melons germinate better in the presence of okra and thrive under the dappled shade and protection the okra plants provide to these low-growing fruits. Okra also deters melon pests like cucumber beetles and attracts pollinating bees and butterflies. 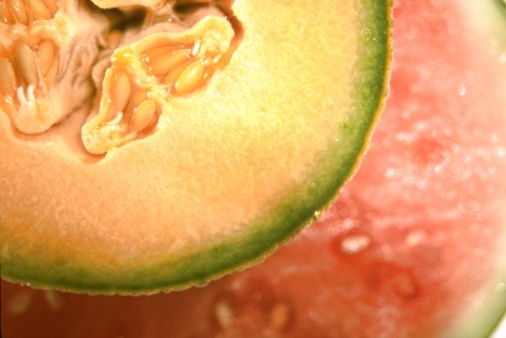 Melons and okra flourish when the soil is warm and evenly watered.